Everything within this post is based on my opinion and my experience and you may not feel the same way. Basically, what I plan on doing is comparing qualities such as packaging, texture, application, performance, etc. I will put my opinion of the two at the end. As you can see, the Hard Candy concealer is in a tube and is more of a "creamy liquid." The concealer is packaged in a cutely designed tube with a color scheme of black and pink. It squeezes without a problem and applies easily. Whereas the Urban Decay, however, is in pencil form with a creamy texture. This concealer is packaged in a sleekly designed pencil with a color scheme of purple and silver. It is hard and feels very durable. I used a thin lined square box to show how far the product could be blended. 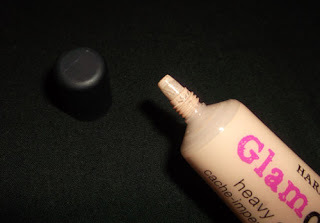 The tube applicator of Hard Candy's concealer. The pencil applicator of Urban Decay's concealer. 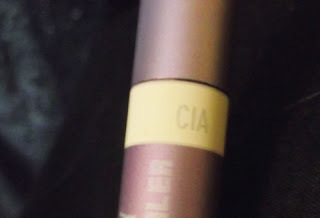 On the Hard Candy concealer, the color shade is a sticker placed near the end of the tube on the back. The tube is see through which gives you a clear perception of the color. 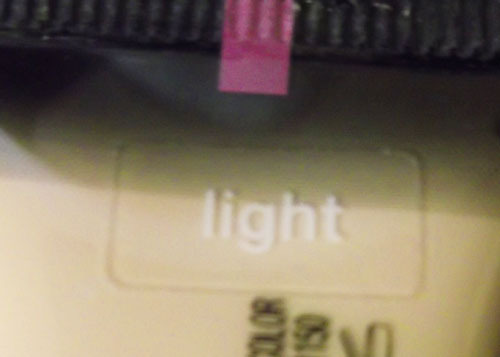 On the Urban Decay concealer, the color shade is printed on a color swatch near the end of the pencil. For me, this swatch was very accurate. 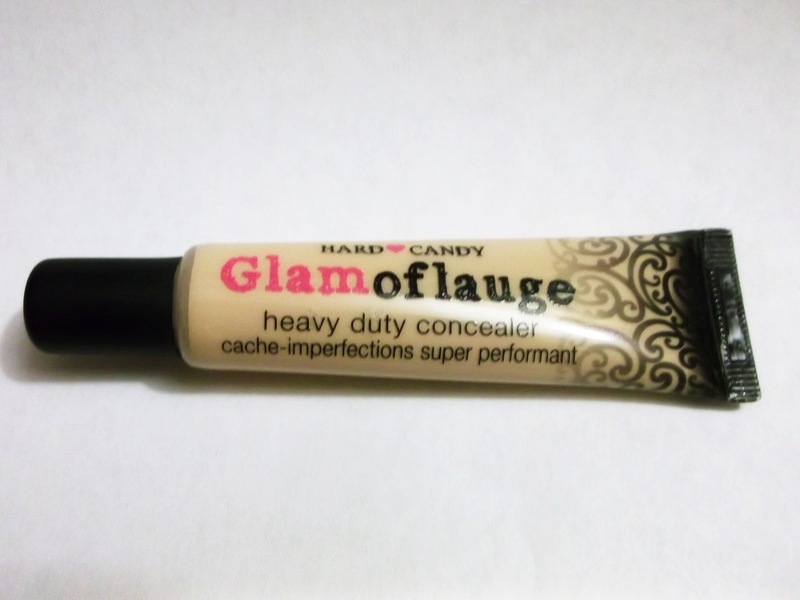 Hard Candy Glamoflauge Concealer holds .71 oz. Urban Decay 24/7 Concealer Pencil holds .12 oz. As far as packaging goes, I think I like Urban Decay's concealer pencil more. It feels durable, the cap goes on securely, and it's very sleek and cute looking to me. However, the Hard Candy concealer has much more product in it and doesn't require as much when it comes to applying. I find that the Hard Candy Glamoflauge concealer blends easily and is more of full coverage where the Urban Decay seems more light to medium coverage and doesn't cover everything I'd like it to alone. When it comes down to it, I like the Urban Decay concealer, but I don't love it. I bought two of them for five dollars each because they were on sale, along with the primer potion, they normally retail for eighteen. I personally wouldn't pay full price for the Urban Decay concealer. Just to be clear, the Urban Decay concealer is not bad by any means. Just in comparison to the Hard Candy, in my opinion, it is more convenient and and efficient for me. Me too. Yeah, I definitely wouldn't pay eighteen each for them. I think five is really good for it, though. I think it's more like you're paying more for the Urban Decay name than the quality. I definitely like the creamy liquid texture more too and I find it gives more coverage. What concealer(s) do you use? Thank you. Oh, that's cool. I've been interested in their primer since I've heard good things about it.